An approach to care that's safe, gentle, and effective! Payment plans are flexible to fit your budget! A specialist that's trusted and certified! Welcome to Tucker Chiropractic P.C. At Tucker Chiropractic, your chiropractor in Blue Springs MO, we always operate with “quality attitudes and procedures” at the forefront of all we do. Our goal is for each of our patients to leave with more happiness and health. We seek to offer educational information to our patients so in the future they can prioritize their own health even more. Our Blue Springs chiropractic center is a single-provider, single-location facility. We give our patients many payment options, including cash, PPOs, contracted HMOs, and major medical plan insurance. Diagnostics are the first key to better health and wellness. Without a clear diagnosis of what’s causing pain, it’s hard to prescribe a treatment that will truly work. That’s why our licensed radiologists offer digital x-ray readings. Digital x-rays allow our radiologist to zoom in closer so there are no questions about what’s causing a patient’s pain. These are also generally ready faster than traditional x-rays due to no chemical processing. Cupping acupuncture — This form of Chinese medicine uses jars made of plastic, bamboo, or glass all along the back. This creates tight suction, which positively affects the skin. While the jars are on the skin, toxins disappear, pain fades away, and circulation improves. Needle acupuncture — The most traditional form of acupuncture, needle acupuncture involves inserting thin, long needles in the body’s pain points. These needles are painless. Those with nervous system or musculoskeletal pain can benefit most from this form of treatment. Electrical acupuncture — Electrical acupuncture also makes use of needles. Two of these are positioned in such a way that electricity can be conducted between them. The electric current never hurts, but is instead intended to reduce pain. Electrical muscle stimulation — Sometimes called electromyostimulation or neuromuscular electrical stimulation, this treatment also makes use of gentle electrical currents. Electrical muscle stimulation leads to forced contraction of the muscles to restore flexibility and mobility. Intersegmental traction — Making use of a device called a Verteflex, the intersegmental traction table can control muscle spasms and treat spinal problems. With regular use of this table, patients report better flexibility. Do you have neck pain, a bulging disc, herniated disc, or lower back ache? Our Blue Springs chiropractor can address this pain with chiropractic care. This form of back pain treatment focuses on pain at the source instead of just the symptoms. That means a lower back ache and neck pain should disappear for good. Activator — With an Activator Adjusting Instrument, the chiropractor in Blue Springs MO will increase mobility. This instrument focuses on the joints and vertebrae in the spine, using soft but firm pressure to move these back into place. Diversified — The Diversified technique requires no such instrument. The chiropractor’s hands will move quickly to restore spine health. Thompson — Making use of a drop table, the patient must lie upon the table with the Thompson chiropractic technique. This table stretches out the spine, specifically the lumbar, dorsal, and pelvic areas. Specific prone — With the specific prone technique, the chiropractor again uses their hands to readjust the positioning of the spinal vertebrae. This technique is newer than the others. 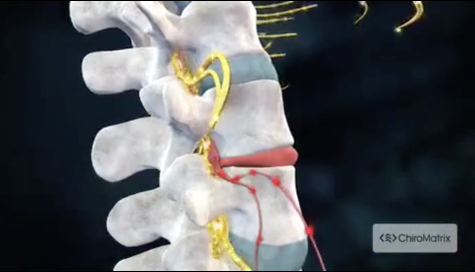 Do you have neck pain, a bulging disc, a herniated disc, or a lower back ache? Do you need back pain treatment? Contact a Blue Springs chiropractic center like Tucker Chiropractic. Give us a call today! "As an RN, there are very few people I will trust with adjusting me. I not only trust him with my care but I also trust him with my children! I highly recommend Dr. Tucker and his staff! They are always friendly and helpful with the patients needs in mind. Great location and clean, welcoming office! You won't regret choosing this office!"